Let’s face it, moving is overwhelming and packing can seem endless. It’s common that families and businesspeople hire professional movers to get the job done. Although much of the work is alleviated, to be most effective, it’s best to prepare for your movers. Before receiving the movers on moving day, determine who will be handling the packing. 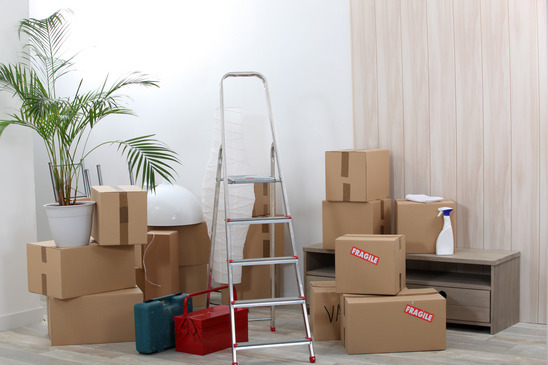 If you don’t know where to start or want the job to be done professionally, you can pay extra to get packing services. Be prepared to be available when movers arrive at your home or office. Movers need help with inventory and supervision of your belongings. Inventory may seem overwhelming, but you and your movers should have an official count of your belongings before and after the move. If anything is lost or damaged during the move, you will refer back to the inventory form to claim damages. The inventory also takes into account the item’s condition. Another form you can be aware of is the order for service, which is the written details of what services the moving company will provide, including pickup and delivery dates, amount of valuation, special services and how you can be contacted during the move, according to TLC. One way you can prepare for movers is the get rid of perishable items such as refrigerated food and plants. Most movers won’t move these items, especially on longer moves. In addition, movers won’t move household cleaning supplies and chemicals because they are hazardous. Be prepared to move those items yourself or get rid of them before moving day. Something you should decide on prior to moving day is who handles important documents and medical records. If they’re in a filing cabinet, movers can transport it, but keep in mind that those are important papers. Also, be aware that items can get lost during moves. Packing: Should I pack my own dishes?